“Science communication is an artful endeavour that involves, first and foremost, a human-to-human connection. If you lead with science or facts, you quickly lose the “social”. Science communication is about telling stories. 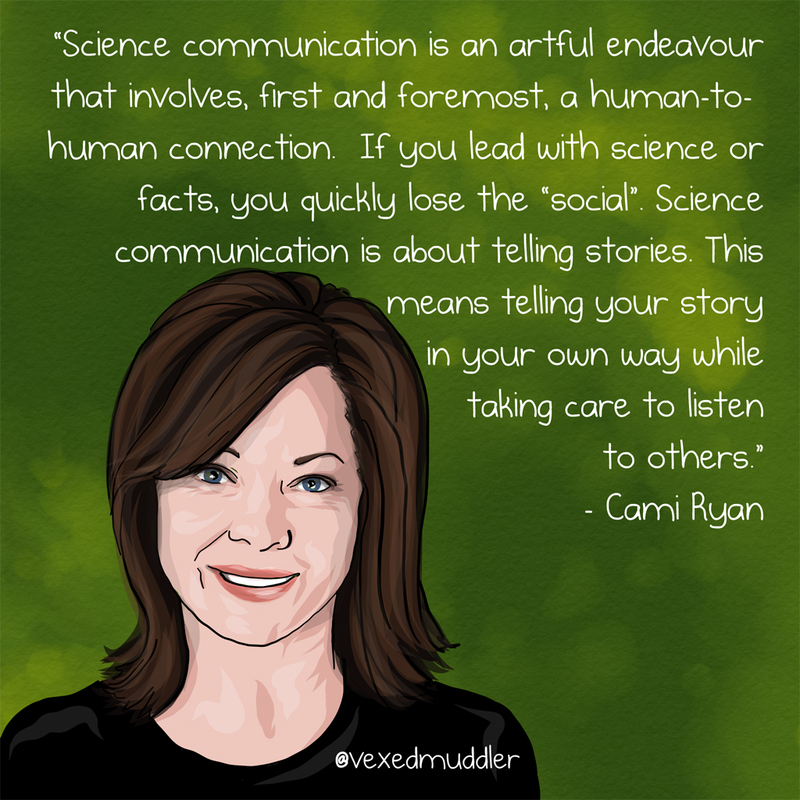 This means telling your story in your own way while taking care to listen to others” – Cami Ryan, social scientist with Regulatory Policy and Scientific Affairs for Monsanto Company. Originally posted on October 6, 2016.